Gauge: 32 sts = 10 cm st.st. Care: Hand or machine wash in cold water on wool cycle, dry flat. Please note: This yarn is dyed in lots of 5. If you order more than 5, you WILL have mixed lots. Skin softness : 4 /5 – merino is always soft but plied yarn has texture. Colour palette: 5/5 – Malabrigo are well known for their colours, rich deep and vibrant. Pattern usage : 5/5 – 3ply/4ply yarns are the most widely used! 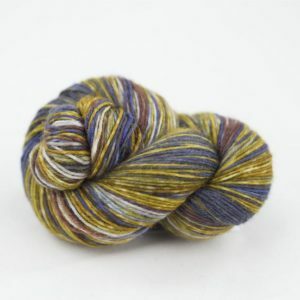 Value for money: 4/5 – cheaper than other hand dyed yarns. Wear and tear: 4 /5 – Pretty good if you don’t machine wash.
A soft, smoothly-plied, lightweight sock yarn in a range of semi-solid and watercolor multi colorways. Spun from luxurious merino and treated to make it machine washable for easy care. 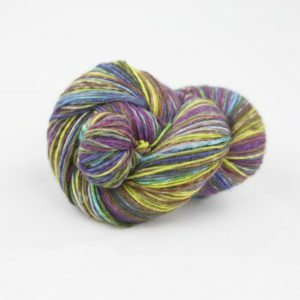 Although this is a sock yarn and can be used to make socks we do advise our customers to use a yarn with 25% nylon/acrylic for the toes and heels to give strength. 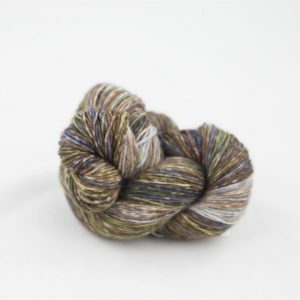 This yarn is a particular favorite among knitters worldwide for shawls and scarves and garments! Be sure to get enough yarn to complete your project since each bag is a different dye lot, and skeins may vary from bag to bag. To ensure random color distribution, try working from two balls of yarn at once, alternating a few rows from each ball. 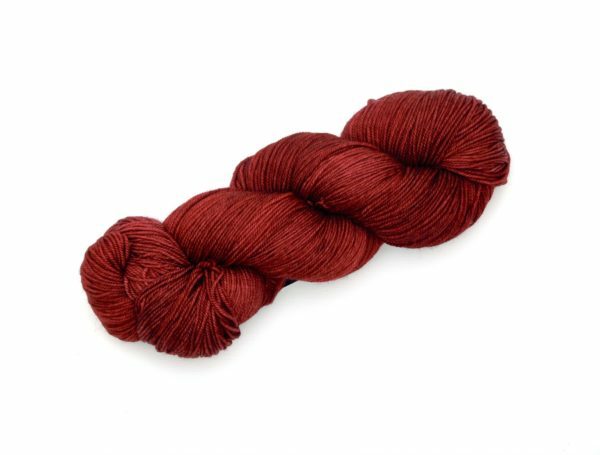 Please note: This yarn is supplied in a skein which requires winding before use. Attempts to use this yarn without winding into a ball first, will result in tangles and knots.